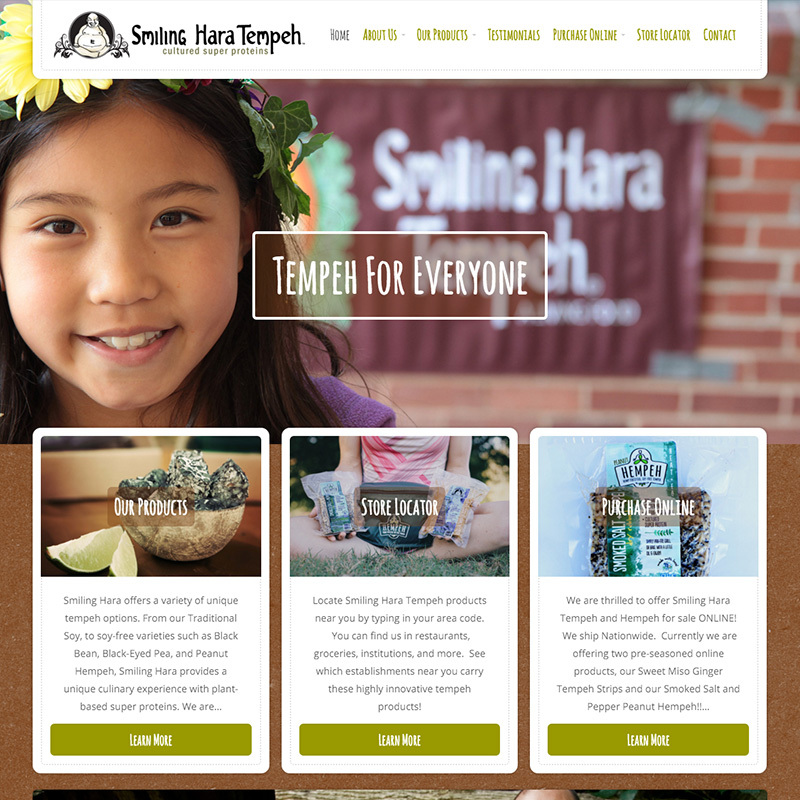 A local favorite among people of all diets, Smiling Hara Tempeh needed a website that told their story and gave them the option to sell their products online. I migrated them to WordPress and set up an online store with WooCommerce. We picked a WordPress theme that would allow their product photography to take center stage, and it was customized to match their look and feel. The result is a warm, rich website for a mouth-watering product line.